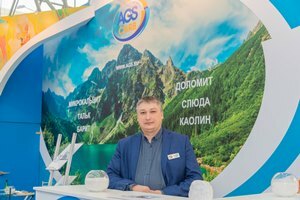 The INTERLAKOKRASKA-2019 exhibition gathered more than 230 companies this year, including leading Russian and international manufacturers from 29 countries of the world. On an area of ​​3,800 square meters. more than 230 Russian and foreign companies presented their latest developments. – We exhibited at the Interlakokraska exhibition last year and also participate in this exhibition, as there are requests from our clients to hold meetings and negotiations. And this is a good platform to hold mass meetings in a few days. Plus, of course, we want to find new customers. And also demonstrate our new products and solutions. I think that we have achieved the goal we set ourselves. I was pleased with the large flow of visitors. It is also important that Interlakokraska is not a highly specialized, but a global exhibition.